The Eroica is a true audiophile moving coil cartridge which features an advanced pole shoe design using a powerful rare earth Neodymium magnet. This unique construction provides a shortened magnetic path, which helps reduce the amount of iron in the record cartridge, keeping the weight down to just 5.5 g. Rigidity is also of prime importance and the Pocan body of the cartridge enables it to be clamped solidly to the headshell, keeping energy losses to an absolute minimum. 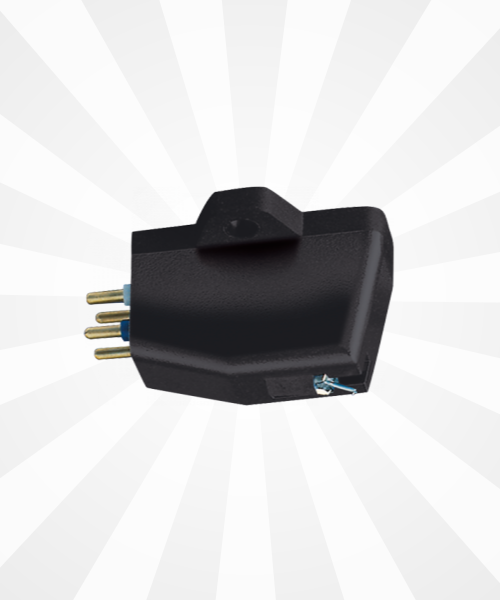 This record cartridge uses a Gyger II line contact stylus with a high output which means it is compatible with amplifiers featuring a regular moving magnet phono input. The Eroica offers an exceptionally high standard of performance and reliability. Related links to "Goldring Eroica HX Cartridge Tonabnehmer"
Customer evaluation for "Goldring Eroica HX Cartridge Tonabnehmer"